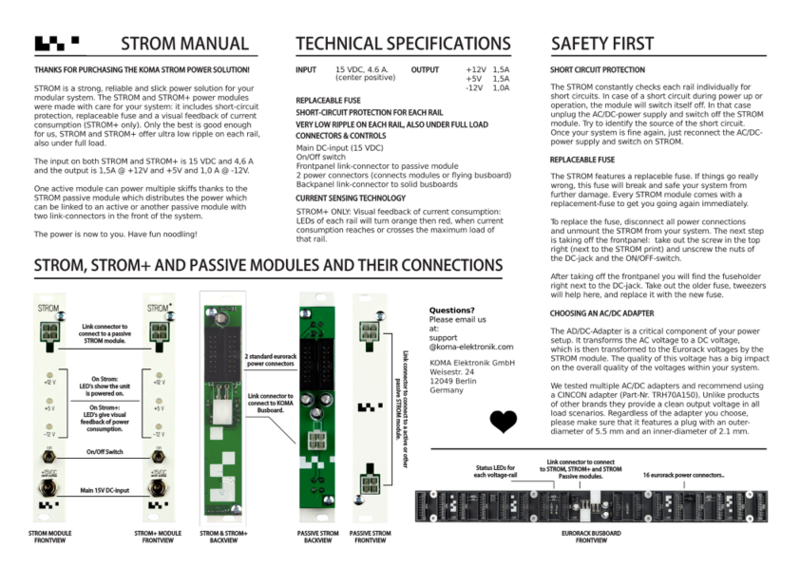 KOMA STROM Bundle is a great cost-effective power solution for your Eurorack case. The Bundle pack includes a high-quality CINCON adapter, STROM power module and a flying bus board so you can get started immediately. Please mark in your order which plug type you would like to order for the Power Brick: Europe, Japan, North America, United Kingdom or Australia!